Woohoo! It’s my first time in Taiwan and landing in this beautiful country has been pretty relaxing! 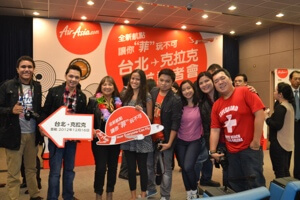 We were greeted by the friendliest people of AirAsia Taiwan. All the passengers of the inaugural flight were givin a little present when we landed. 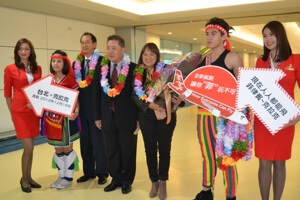 To celebrate the inaugural flight, Philippines’ AirAsia raffled off a trip for 2 to a local destination and another trip for 2 for an international flight! One of the winner’s names is very close to my name and middle name which surprised me! 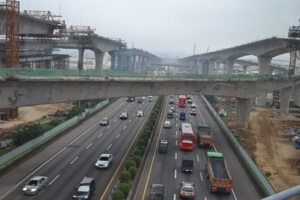 The trip from Clark to Taiwan takes about 2 hours. 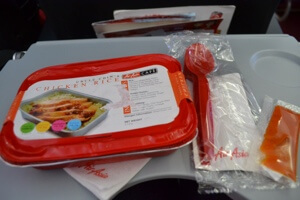 AirAsia offers meals onboard. When you order online, you will even save a lot for the meals! 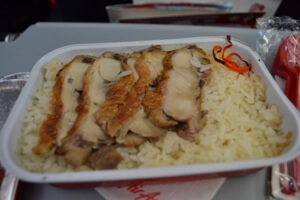 My favorite is the Chicken Rice. 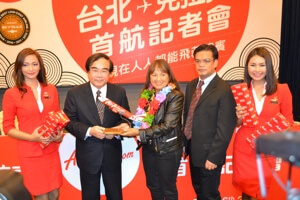 Maan Hontiveros, AirAsia PH CEO, is very delighted to offer this new route from North Luzon. 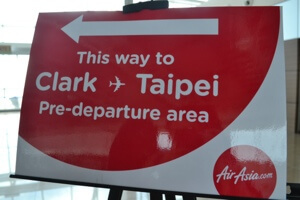 It is the first route from Clark to Taipei. 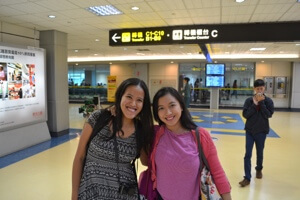 There are also a lot of Filipinos in Taipei from the North. For only 3 days, We can only explore and enjoy the sites in the main city, Taipei. If I could stay longer, I’d travel east and south of Taiwan. Our main itinerary would include Taipei 101, hot springs, National Palace Museum, Martyr’s shrine, Bao’an and Confucius temples, Shilin Market, Din Tai Fu restaurant and more. Xiao long bao and milk tea overload! For more updates on AirAsiaâ€™s latest innovations, as well as promotions, activities and contests, connect with them via Twitter (@AirAsiaPH) or Facebook (facebook.com/AirAsiaPhilippines). The best time to go is go during the suemmr and autumn period in Taiwan, which is June to October period, where the weather is not that cold compared to other months. As for booking of hotels, you can type the name of the hotel in the Yahoo! Taiwan and search for it. You can also book you hotel online at or (both in traditional chinese) for special deals on the above mentioned hotels. For hotel, I always stayed at Kingshi Hotel, which is located at the heart of Hsi Men Ding and its an affordable 3 star hotel and its very near to its metro station.As for places, this have to depends on what kind of interest you have, but the few places I recommend to you are:Martyr’s Shrine, Peitou Hotspring area, Yangmingshan National Park, National Museum of Taiwan, National Palace Museum etc. Anyway, hope all the above can help you a little and if you need more help on Taipei, you can contact me by visiting my profile page.